The stunning Country Oak 3 drawer console table is manufactured from a tensile sustainable American oak which is sourced from sustainable forests in the US. 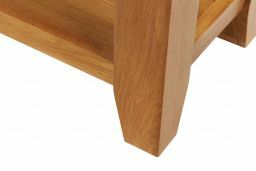 The overall finish is a hardwearing waxed finish which brings out the natural beauty and characteristics in the American oak. 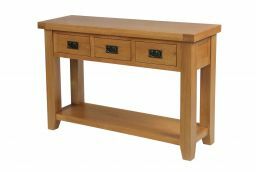 This excellent value for money console table is a welcomed edition to our best selling Country Oak living/dining furniture range and is sure to be a fantastic edition to any living room. 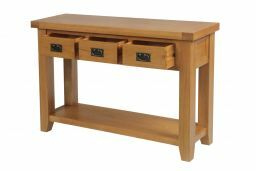 Supplied fully assembled to ensure you can start enjoying your new piece of furniture as quickly as possible. I am absolutely delighted with the Country Oak 3 Drawer Console Table I recently purchased. 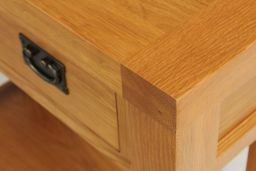 The quality and workmanship is first class. Also, the service I received, helpful, polite staff. Excellent. I will certainly recommend your company. Great Delivery, communication updates and delivery times and updates providing true customer service well done Michelle and Rob. Product as described and very pleased. I am very happy with my new piece of furniture. It is exactly as pictured and described on your website. I am delighted with the quality and workmanship. The delivery came on time and the delivery men could not of been more helpful. I would have no hesitation in recommending Top Line furniture for quality and value. Very happy with our purchase and the prompt service provided immediately upon placing our order. Exactly what we wanted. Arrived on time nice young man delivered it. Looks fantastic in my hallway. Great quality and price you can't go wrong with this company. We have had lots from them all great quality and looks fantastic. 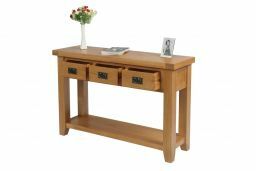 Lovely piece of furniture great in the hall with oak doors. Speedy delivery and on time. Great service. Looks good, good price, good quality. Very pleased with it. Very well made and looks great thanks! Exactly what we wanted. Looks good and very robust. 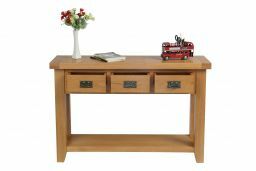 The console, the second product I ordered from the company, arrived in perfect condition and Top Furniture arranged the delivery to suit me, keeping in touch at every step of the way. 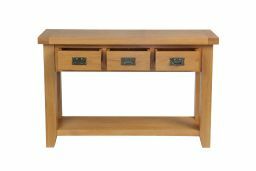 The console itself is well made; it is very substantial with pleasing, clean lines and a soft natural finish. 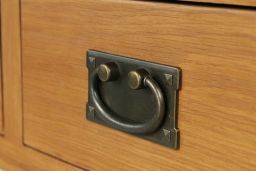 Details like the antiqued drawer handles and dovetail jointing elevate it to a classy and long-lasting design I'm sure will give me good service for many years. Thanks Top Furniture. Took a gamble and purchased on line without seeing first. Absolutely perfect! Excellent build quality and value for money. 1/3 off price in sale and much better value than anything else we have seen to compare with.